Researcher and writer currently completing the 2018 'Finish Your Book' course with Hazel Edwards at the Victorian Archives Centre. Thanks to the Historic Plans collection held within the State Archives, I have been able to pinpoint exactly where my ancestors owned land in Western Victoria in the mid 1800’s. 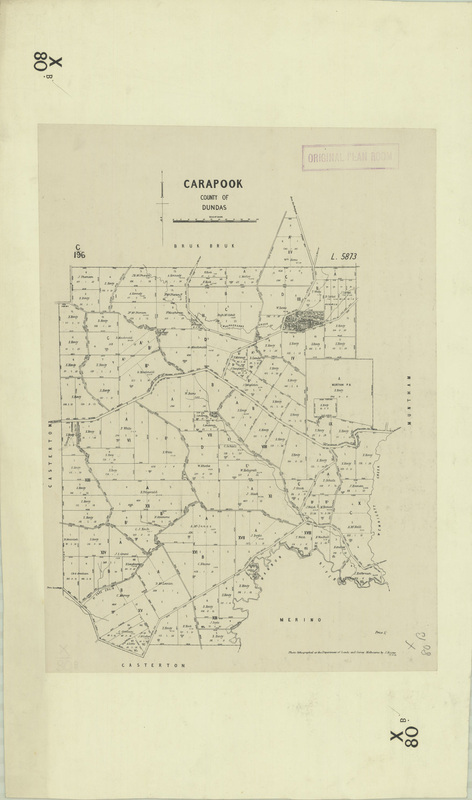 During my Family Tree research I had come across some information about family land holdings in the Casterton, Sandford, Carapook area. When I checked out the Public Record Office Victoria website, I was excited to find scanned copies of the Historic Plans of the area. These old Topographical maps are a great resource in that they give us detailed information about what an area looked like in the early days of settlement. 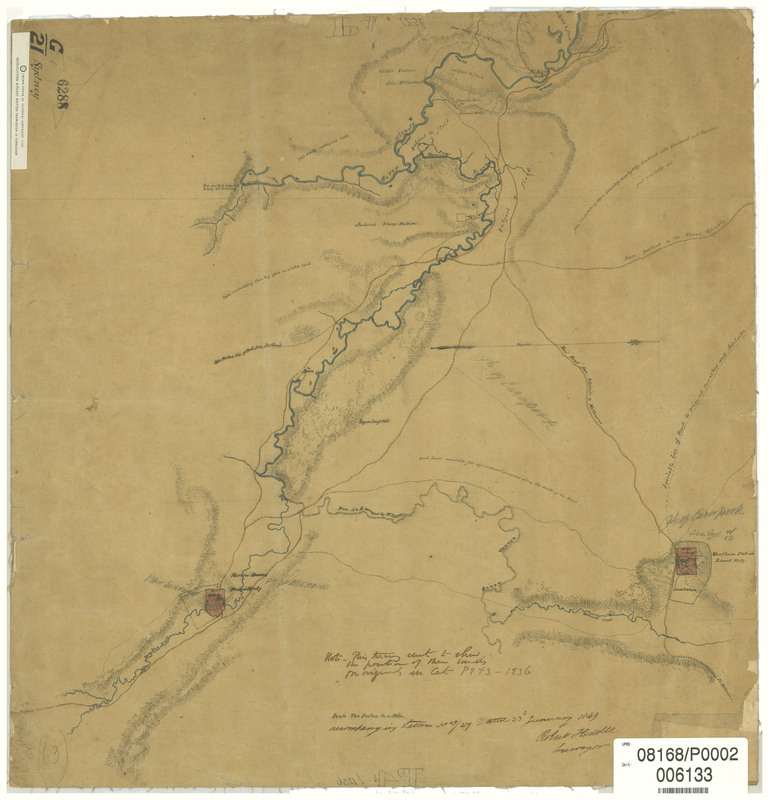 The maps were very carefully hand drawn and included detail like the position of tracks, brush fences, huts, post and rail fences, old cemeteries, homesteads, sheep runs etc.. and they also describe type and quality of soil, where the land undulates, hills, flood zones, and areas of timber; even so much as describing what sort of trees and shrubs were growing there. All of these descriptions give us a much better picture of what a place was like when our ancestors lived there. The other great thing about the maps is that you can compare maps of an area from the beginning of settlement right up to more modern times. The years between maps goes to show just how quickly the settlement of Victoria developed. Now that I know exactly where the landholdings were I can use Google Earth to see if I can pick up old foundations, buildings and fences in the area, for instance I have already used an old map and Google Earth to find old foundations of a family homestead at Lake Mundi from the 1950’s. The Historic Plans that have been diligently scanned by Public Record Office Victoria can provide an extra dimension for family historians to explore and the information that these maps provide can add enormous interest to family stories. All of these resources are available online thanks to the wonderful work of the staff and volunteers. type of plan e.g. cemetery, coastal survey, railway.